The following list of keywords, alphabetically sorted, should answer those many random questions that come up when planning to attend a conference and traveling somewhere new. If you have any questions and can't find the answer, email the conference manager, and the answer might be included here. There is a huge number of free activities for everybody offered by the local tourism organization. Check out the brochure with culture, sports, education and a lot more. 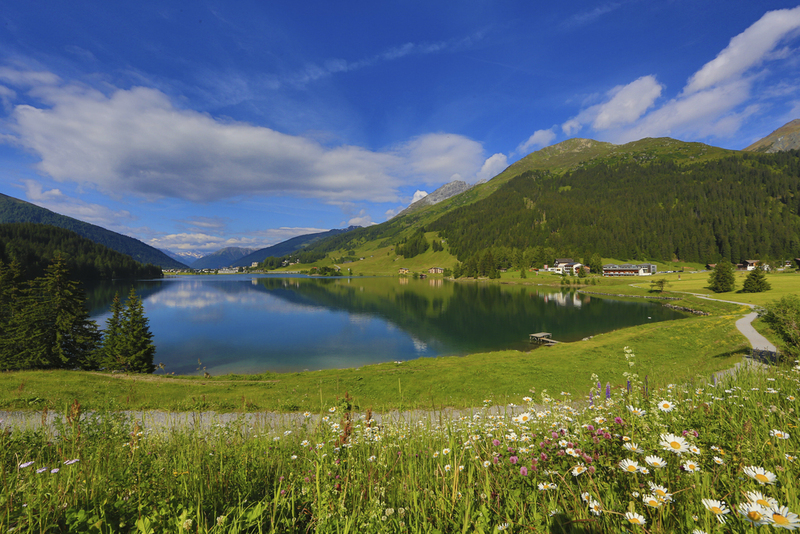 Davos is situated in the heart of the Swiss Alps at an altitude of 1560 m asl. In June you can expect temperatures ranging from 6 - 17°C, there is mostly some wind, and rain on about 15 days of the month, but with an average of 5-7hrs of sunshine per day. The occasional snow fall can be expected as well as lovely summer temperatures. Evenings are usually rather cool. MeteoSwiss, the Federal Office of Meteorology and Climatology has weather forecasts. The currency used in Switzerland is Swiss Francs (CHF, currency converter). In most shops you will be able to pay with the European standard currency EURO, but your change will be in Swiss Francs. Hotels and restaurants usually accept Mastercard or Visa, American Express is mostly not accepted. Davos Platz - Davos Dorf - what's where? Davos Dorf is the first one, when coming by train from Zurich, Davos Platz is the second one. Depending on where your accommodation is, you choose the nearest train station. If you are coming to the directly from the train station, get out in Davos Dorf and take a connecting bus to the conference center directly from the train station. It only takes a few minutes. Nothing is really far away in Davos. From most places you can reach the congress centre and one of the two train stations on foot within 10-20 minutes. If you prefer to take a bus, there is a very frequent bus service, which is free to use with your guest card, which you will get if you book a hotel, hostel or holiday flat in Davos. Have a look at the list on the restaurant page. Take some time to explore the area on foot. Hiking ideas can be found here. Of course you can also run these trails, further special ideas for trail running are also available. Davos is the second biggest town in the canton of Grisons (11'000 permanent residents). In Davos, the main language is German (Swiss German dialect), the canton of Grisons uses three languages (German, Italian, Rumantsch), but almost everybody speaks several languages (Italian, French, English, Rumantsch, Spanish), so getting by without knowing German mostly works. The lake in Davos is used for hydroelectric power production in winter. Once snow melt begins, it fills up again, and has to be full by 10 June of each year. 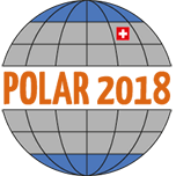 So by the time POLAR2018 starts, the lake is full. It's a great place for a walk, run (once around is 4km long) or to go sailing or surfing - however, the water temperature stays rather low all summer. Topographic maps with layers for hiking trails etc are available online at no cost and in high resolution. Go to Maps of Switzerland and find your route. If you need a small meeting room during the OSC, please come to the reception desk, where we have a list for a number of smaller meeting rooms, suitable for up to 15 people. They don't have technical equipment, just a table and chairs. Davos is a first-rate mountain biking paradise! You can rent a bike for a day or a few hours in several shops in Davos, for example at Bike Academy at the train station Davos Dorf (don't worry about the German website, the team speaks English). The higher areas around town are likely to still have leftover snow, but the valleys and south-facing slopes should be green. With your guest card, which you receive when you check in at your accommodation, the mountain railways are free for you. As it is early summer, not everything is operating yet, look at the operating times before planning your trip. Detailed information on how to prepare your oral or poster presentation can be found in the Oral Guidelines and the Poster Guidelines. The screen ratio is 4:3. Davos has a number of high-level research institutes; some also offer visits and guided tours. Visit their websites to find out more! There are also a few smaller food shops ("24hr shops") that are open until 10pm every day. With this winter's massive snow pack, chances are good that you can still go back country skiing in June, especially if you start high up, for example from the top of Flüelapass (2383 m asl). See the region by train - the Rhaetian Railways offer train trips to explore the beauty of the Eastern Swiss Alps. Find ideas and details here. Switzerland has an efficient public transport service. An online time-table for trains, buses and even boats can be found on www.sbb.ch, also read the information on our travel page. The official Davos website has it all - trips, information, restaurants, events and a life chat for your questions. If you want to know a lot, wiki has the answers. For the short version: the voltage is 220/230 V and the outlet has three holes for a two- or three-prong plug.